Yes, I did another 10k, cause I just can’t get enough of them. They’re challenging enough to collapse in a heap of relief at the finish line, yet not so gruelling that you sustain any long-term injuries or have to spend months in agonising training. 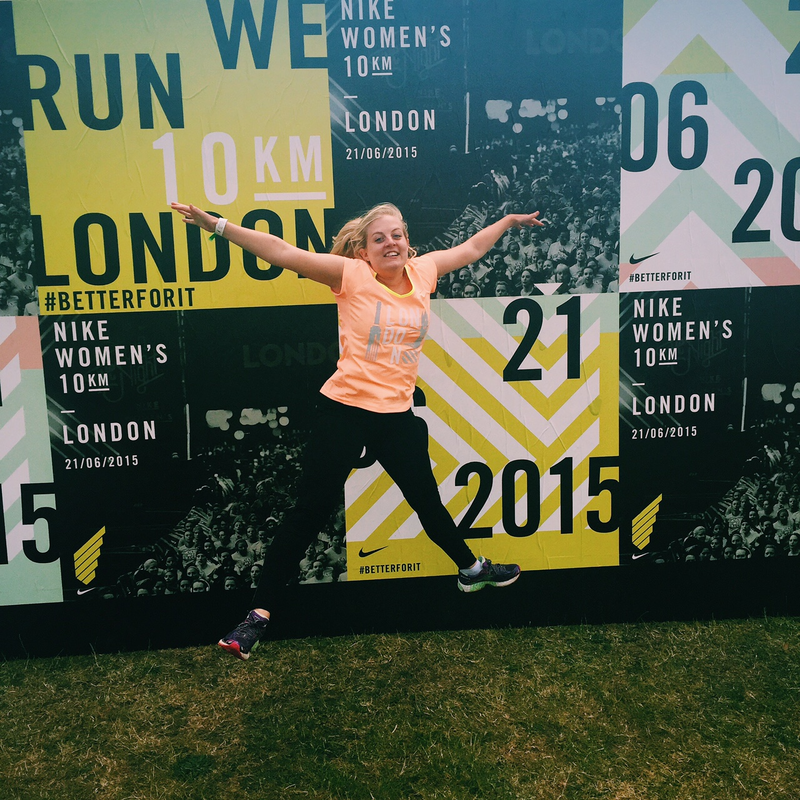 After hearing all about how amazing the last Nike Women’s 10k was I signed up sharpish for the #WeRunLondon event. However, my training was fairly limited compared to my previous races. I had various breaks for a holiday, a wedding, a casual Meat Masterclass and various other shindigs (love that word). But I felt comfortable with the distance and as my last 10k was only in March I felt more than capable to get around the course without collapsing. I’ve never been a particularly fast runner so I try and block out the competitive thoughts of beating people or getting a PB and try to focus on enjoying the experience. I woke up super early on race day and made my way over to Victoria Park, the Uber driver’s loud complaints about traffic not entirely settling my pre-race nerves. There were 10,000 women competing and for 60% of them it was their first ever 10k. Which, to be truthful here, did ease my fears of competing against the sleek elite of Nike athletes! After some rave-y warm up exercises with the guys from Equinox we had none other than Ellie Goulding counting us in – not gonna lie I got a little bit starstruck as she waved us all good luck at the start line. The course was two laps around Victoria Park in East London. A flat, circular route that was very welcome considering my first instinct when running uphill is to stop, turn around and go back. There was lots of entertainment on the way round from a steel band, a brass band (all the bands), DJs, guitarists and lots of cheering and support from everybody who’d come out to watch 10,000 women in peach get very sweaty. I crossed the finish line in a red-faced mess and was so happy to see my boyfriend and best friend who’d come to cheer me on. It was a crazy hot day for a run and I hadn’t bothered stopping at the water stations, so was mightily relieved to cool down and hydrate. Runners were also treated to a complimentary glass of champers from Freixenet – who am I ever to turn down free bubbles?! What probably excited me more though was the toast stall run by Pip & Nut. You could pick your toast, and choose one of their nut butter spreads and some seriously dreamy toppings. I had almond butter on sourdough toast with strawberries and dark chocolate shavings – yummmmm!